Creator C501 is special for bmw vehicles, which support BMW vehicles From 2001 to 2016. it can read trouble codes, clear trouble codes. if you have personal users, or DIY enthusiasts. you can try with this BMW Creator C501 code reader. Creator C502 obdii is a new featured OBDII code scanners mainly focused on the car diagnostic industry helping DIY-users and professional technician to fix the car's engine trouble and emission related errors. 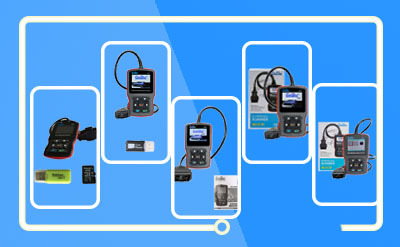 With the new patented design and true colorful wide screen, the C502 can easily and fast access the car computer system(ECU), diagnose the troubles from engine and erase them by one click. C502 would be the best solution for home users & professional technicians, save your time and money to service station! Creator C508 EOBD Multi-System Code Reader supports for FIAT / ALFA / ABARTH / LANCIA ABS, if you need more functions checking or system coverage about Creator C508 Code reader, please check product model OOI081.